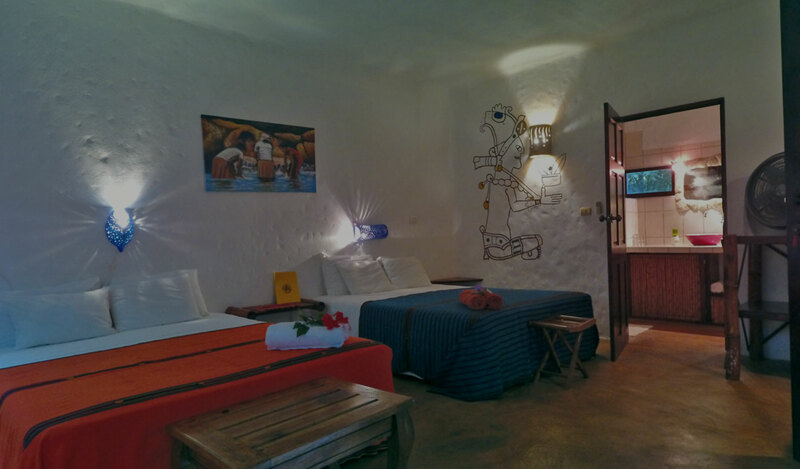 The lodge has in total 5 independent units, also named cabinas, built and decorated in different world styles like one African, two Mexican and two Persian cabinas. The units are built amidst the trees near to the pool so you will feel like you are in the middle of the Jungle with all of the comforts you can imagine. The howler monkeys often swing in these trees close by. A lovely breakfast and daily housekeeping are included. 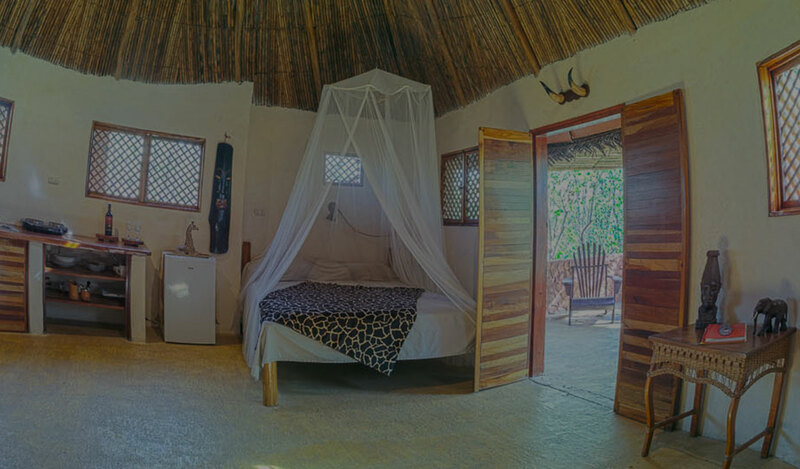 This truly romantic independent cabina for two persons is situated in the midst of the jungle and decorated in African style. 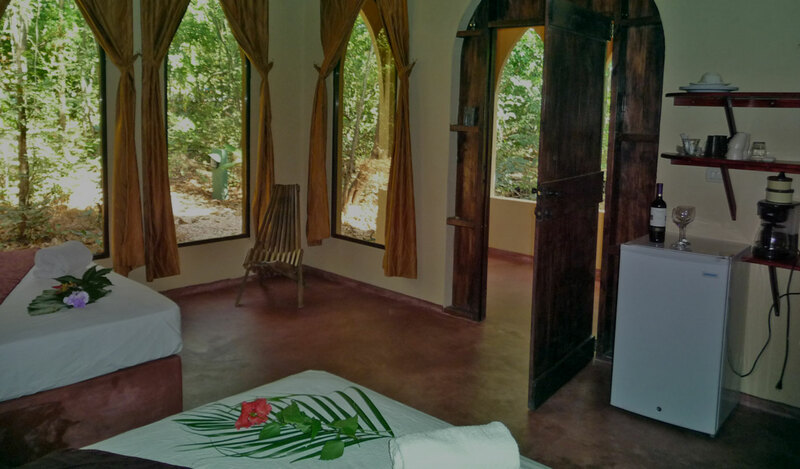 This mexican style independent cabina for up to 4 people is situated in the midst of the jungle, freshly decorated and well equipped. This freshly decorated cabina for up to 4 persons is situated across the pool with a secluded terrace to chill out.